When you put your electric furnace in the care of the professionals at Washington Mechanical, you can rest easy knowing you have qualified heating professionals on the job. All of our certified and highly skilled experts are trained to help you with any of your heating needs, and we provide service in a friendly, helpful manner. Washington Mechanical offers the latest in energy efficiency and comfort technology furnaces that can truly change the way you heat your home. Our trained heating specialist know the intricate details of most furnace brands and are able to guide you through the selection and installation process with ease. Most of the time our team is available to provide same day installation if the furnace you select is available and in-stock nearby. You can expect one of our friendly, Seattle furnace installation technicians to have your brand new furnace up and running in no time. Is your Seattle furnace over 8 years old and in need of repair? Let Washington Mechanical give you a free replacement estimate before investing in your old furnace. Already purchased a furnace and need it installed? No problem we’ve got you covered! Our team of certified furnace technicians are trained to install any make or model. Regardless of what type or size of furnace you have selected for your home, we can get you up and running in no time. Every installation that we perform is more than a number to us. It’s an opportunity to build a long-term relationship with you. Have questions? Give us a call at 425-499-1932 or get a FREE Estimate using our online form. Electric Furnace not working? Call us, 24 hours a day, 7 days a week at 425-499-1932 for furnace repair service from a company you can trust. Is your Electric Furnace over 8 years old and not working? 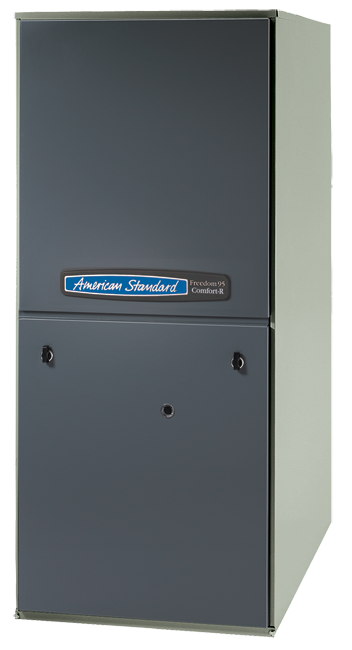 Considering upgrading to a Gas Furnace? Let us give you a free replacement estimate before investing in your old furnace. If your system is 8 years or older, it may be costing you 40-60% more in utility bills every month! Today’s systems have a much higher efficiency which saves you money and makes your home more comfortable.